Pick up from Krabi Airport and then proceed for Krabi City Tour. – Visit Tiger Cave Temple. After the tour then proceed to hotel for check in, then free & easy on your own with activities such as beach massage, local shopping, visit beauty salons or pubs, bite and taste local delicacies on the street or restaurants , etc. Day 2 : Krabi 4 Islands excursion by traditional longtail boat. – Chicken Island – The island with funny rock shape, looks like a chicken. Popular location for excellent snorkeling. – Pranang Cave : A very famous cave with white sandy beach. 08.00 Free & Easy on your owne leisure or buy one more optional tour. Hotels options with package price / person. Round trip transfer Krabi Airport – Hotel – Krabi Airport. 2 nights accommodation base on twin / double sharing with daily breakfast. 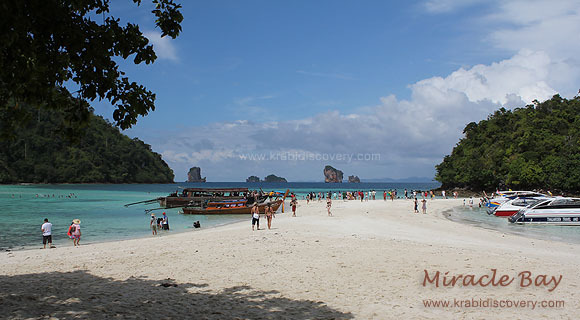 Krabi 4 Islands trip with lunch, tour equipment, drinking water, fruit, tour guide and day tour insurance. Krabi City Tour on arrival OR departure day. Price Excludes : Airfare, dinner and Marine national park fee on day 2. Package subject to room availability. 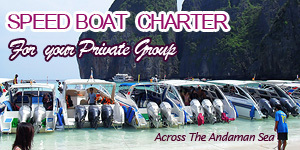 Upgrade to Krabi 4 Island by speed boat, additional charge of 300 Thai Baht / person. 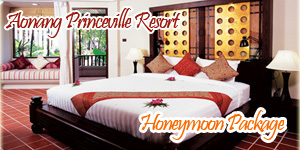 i am interested in the krabi-getaway-vacation-3d2n-package which is posted in Jun 2010. I was wondering if it is still available? Hi I am interested in this, is this this still avail? Hi, I am interested in the 3D2N package. Would like to know the total cost and if there are still available space for 4 from August 9th to 11th? Yes, price is still available on this period. Hi, i am interested to take this package. I would like to take 2pax for 18-20 aug.
Could i get the quotation? I and a few friends (in all 7-8) are planning to visit Krabi on the 22-23 Sep weekend. We can arrive on the 21st evening and are thinking to go back 24th morning, so it’s the opposite – 2D3N – of you are offering. Planning to take one or maybe two day-tours. Is there a package that can be customised to this plan please? I’d love it if there’s something that can be done about it so we can book asap. Any slot next thurs 13th sept to 15th .How much for 2 Pax ? I am interested to know the nett pricing for the 3D2N Krabi getaway package.